 Up to Par Management has announced an upcoming free club management webinar entitled “How to Win | Creating a Plan to Turn Your Club Around” hosted by Founder and CEO, Sean Taylor. 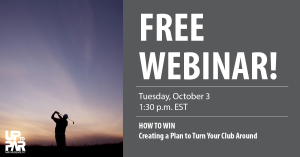 This webinar will be presented on Tuesday, October 1 at 1:30 p.m. EST. Every year, over 15% of clubs in the U.S. face bankruptcy. A deeper look into the issue reveals that a complacency with the status quo and not being able to pivot with the times and trends is a major factor in the decline. Not wanting to see the industry die out, Up to Par Management is sharing what they’ve learned with others to try to turn the trend. This webinar will look at two case studies of properties that are now successful after operating at major losses for over 3 years, discuss red flags and immediate changes needed to stop the financial bleed. Attendees will also have the opportunity to ask live questions and learn about the importance of having a sound operating plan backed by data. Attendees will also learn about Identifying Deficiencies and the tricky business of enacting change with the board and staff. After the webinar, attendees will have the opportunity to schedule a complimentary consultation call to discuss their current property status and ideas to build their path to profitability.